Even though the series was already in the bag, it was pleasing to see Rohit Sharma challenge his batting unit and himself by opting to bat in testing conditions in the final ODI at Wellington. Like at Hamilton, however, the top-order was blown away by New Zealand’s pacemen but unlike in the fourth match, India recovered brilliantly through their middle-order. Rayudu seemed to have learnt his lessons nicely from the previous game, where he tried to counter-attack and holed out in the 11th over. In Wellington, he took his time and embraced watchfulness, which was the need of the hour. Because he is so gifted, he can also change gears effortlessly, as he showed later on in his knock. 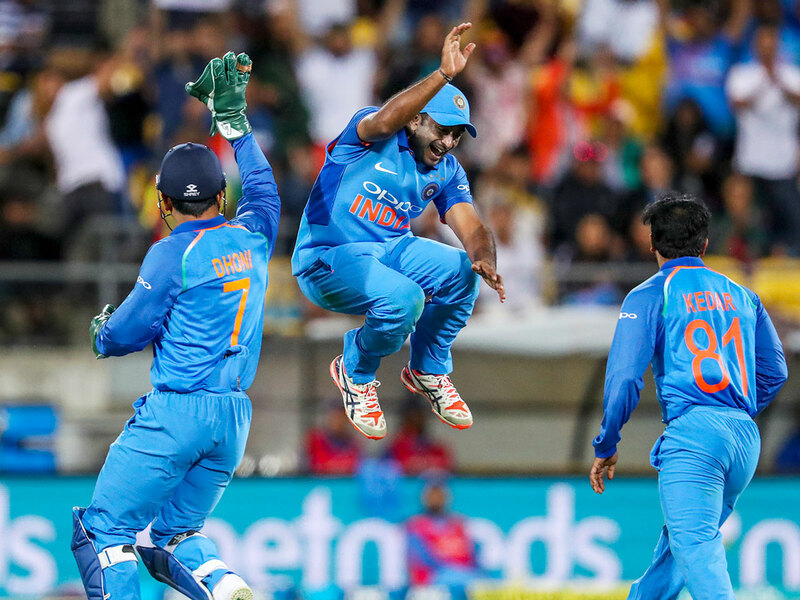 Vijay Shankar displayed excellent technique and great character in his first knock in one-day cricket and his partnership with Rayudu set the base for the exhilarating late fireworks from the versatile Kedar Jadhav and the ebullient Hardik Pandya, who lit up the stage with brilliant ball-striking. Against Sri Lanka in Dharamsala towards the end of 2017 and again in Hamilton, India had failed to recover from massive early setbacks. It was good to see them work out a formula for success in a similar situation this time around, though ideally, the best approach would be to keep wickets in hand for the final flourish in the end overs. New Zealand will be disappointed at their response to what was no more than a par score under the circumstances. Their batting struggled all series in familiar conditions, and that will be a cause for concern, but then again, they weren’t allowed to get away by the quality of the Indian bowling. The new-ball bowlers were impeccable and Chahal continued to trouble them in the middle stages. New Zealand will, however, take heart from the sustained excellence of Trent Boult, whose incisiveness will be crucial to their fortunes at the World Cup. India will take the momentum from their Wellington win into the Twenty20 Internationals. I, for one, believe that it is imperative to keep looking to develop more and more matchwinners. Towards that end, I would like to see Dinesh Karthik bat at No. 3 in Virat’s absence. It’s important to entrust greater responsibility to ‘DK,’ Rishabh Pant and Krunal Pandya. Rishabh has been in very good touch and Krunal caught the eye during the T20s in Australia, with both ball and bat. They can both deliver the big blows at the death alongside the pedigreed Hardik, which is a welcome sign with the future in mind.